Welcome to Savings Revolution! This site is committed to helping people organize so that they can support each other in saving to meet their personal goals, whatever they are. We call this forming Savings Groups. Savings Groups (SGs) raise their own money through saving, and the members manage the money themselves. That's what makes them revolutionary. Savings Groups differ from micro-credit, in which an institution lends to people who become paying customers of the institution. Micro-credit has its place, but this is something different. Most SG members are rural people without banking services, but there are many many exceptions. If you want to know more about Savings Groups, please check out Savings Groups: What are they? Our goal is to offer people high quality Savings Groups that you, dear reader, would want to keep your own money in. Because, if we wouldn't keep our own money there, how can we ask other people to do that? I don't think we are doing as good a job in that area as we could do or should do, and I think there are clear pathways to improvement, so Savings Revolution will be unremitting in calling for Savings Group promotors at all levels to Do A Better Job, and we will show you how to do that. Savings Revolution started in 2010 through conversations between Kim Wilson and Paul Rippey. They realized there was no forum where all practitioners of savings groups could get together and exchange ideas. They launched the site as a blog in January 2011. Since then, the site has grown and evolved. We have had nearly 400 posts from more than 40 bloggers, including many of the experts in the savings group sector. We added podcasts, videos and photos, and a document library. In January-February 2016, we redesigned the site, making it mobile-friendly and more attractive, and reducing some of the old posts that were no longer relevant. We want to maintain a good level of curation so that if you visit the site, you can be sure that what you are seeing is current, and the best information we can put our hands on. We also intend to keep expanding the horizon beyond traditional savings groups, to include other forms of community-managed financial groups. And, we have lots more things we want to do - stay tuned. Savings Revolution is unincorporated and quite non-profit. Everything is protected under a Creative Commons Copyright: Use our stuff non-commercially, and please give us credit. Thanks to Jeff Ashe and his article The Savings Led Revolution for inspiring the name of the site. We both have worked in top-down microcredit, and we both think that community-based savings-led microfinance is, well, revolutionary. The unsigned articles here are by Paul Rippey, who is editor, publisher, and the person to praise or blame if you like or dislike what you see here. This should be easy. If you get stuck, go to the menu symbol which I think is on every page. Some of the new material on the site will posted both as a video and as text. If your bandwidth permits it, the videos might be more impactful, but - your choice. Be a bit patient please. All new material will appear on our Facebook page, "Savings Revolution" and we tweet out at @SaveRevolution. Please follow us and like us. Also - please click on the like buttons at the end of articles, so we'll know what you like. Thanks for visiting, and thanks for sending your comments. Paul Rippey is a freelance consultant working in promoting, training and evaluating savings groups programs. He worked in microfinance in Africa for a couple of decades, where he had a brilliant career getting a lot of poor people deeper in debt. In 2003, he discovered savings groups, and never looked back. Kim Wilson, co-founder of this blog with Paul Rippey, is on the faculty of the Fletcher School of Law and Diplomacy, Tufts University. Before coming to Fletcher she was Senior Advisor for Microfinance at Catholic Relief Services. Her interest in savings groups arose from working with savings groups in India, Pakistan, Afghanistan and Sri Lanka. Suzanne Andrews is a Markets and Agriculture Program Specialist at Catholic Relief Services (CRS). She was formerly a CRS development fellow iSun Kenya and spent a summer as a research consultant documenting the role of savings groups in an agriculture project in Central America. She has also done research on mobile remittances as a consultant for Digicel Haiti, and in the Dominican Republic on lottery practices and ADOPEM Bank’s strategy to promote savings while completing her Masters at the Fletcher School of Law and Diplomacy. 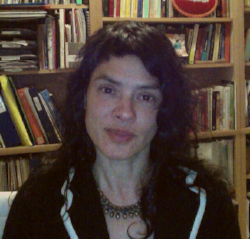 Eloisa Devietti is Program Policy Advisor at Oxfam America , supporting the development and implementation of program procedures for the delivery of quality programming around Indigenous People’s Rights in the South America region. Prior to this role, Eloisa was Program Associate for Oxfam’s Saving for Change (SfC) Program in Latin America where she was responsible for providing technical assistance to the savings groups. She was also involved in operational and baseline studies of SfC in El Salvador and Guatemala. Eloisa is also co-facilitator of the Savings-Led Working Group (SLWG) at the SEEP Network, where she promotes knowledge sharing among member organizations and coordinates learning intitiatives, including the document library housed on this site. Brett Hudson Matthews is a village finance consultant who has conducted studies of VSLAs in Kenya, Tanzania and Mozambique. He was senior advisor for the launch of the Gates Programme at MicroSave India during 2008-09, and led the development of a national network of village financial institutions (the Cambodian Community Finance Network) from 2003-06. An abiding interest in savings-led approaches and the market failure in the villages has led to a strong focus on illiteracy and oral culture in recent publications, such as Governing the oral institution and the pending paper, Lighting the microfinance path: images and oral culture at the retail interface. Check out Brett’s excellent Village Finance blog. Jill Thompson has been involved in the microenterprise development field since 1981 when she volunteered with Peace Corps as a ‘credit advisor’ in what was then Upper Volta (now Burkina Faso). It was there that she learnt how NOT to implement credit programs. Since that time, she has lived and worked throughout Africa, tackling various aspects of micro-enterprise — ever vigilant for that ‘magic bullet’. Ms Thompson is currently the Director/founder of Mpendulo Savings, (www.mpendulosavings.co.za) which promotes community managed savings and lending in low income communities in the Eastern Cape of South Africa. She is still searching for the ‘magic bullet’. He is on the faculty of the Boulder Microfinance Training Programmes and Southern New Hampshire University’s Microenterprise Development Institute and runs independent international workshops on VSL in Africa. Joanna Ledgerwood is director of the Financial Sector Deepening project in Zambia. Joanna has worked as a microfinance consultant in Africa, Asia, and Latin America and her publications include Transforming MFIs (2006), the Microfinance Handbook (1998) and the NEW Microfinance Handbook (2012). Greg Pirie has worked with savings & credit cooperatives in various forms for more than 25 years, firstly with the credit union movement in New Zealand, where he was at the centre of providing support and advocacy services nationally, before relocating to southeast Europe to assist in the reintroduction of credit unions in Macedonia with the World Council of Credit Unions. Much to his chagrin he found himself having to instead establish a limited services savings bank mimicking the cooperative model. Subsequently Greg provided technical support to MFI partners of Catholic Relief Services in nine countries across southeast Europe, Middle East and North Africa. He is now a freelance consultant. Jenny C. Aker is a non-resident fellow at the Center for Global Development and an assistant professor of economics at Tufts University. Her research approach uses field experiments to better understand real-world development problems and to link research with policy and implementation. Her current research focuses on the impact of information (and information technology) on development outcomes, namely agricultural markets and literacy; the impact of information and education on civic education; and markets and food crisis. Aker is currently collaborating with several NGOs on multi-arm randomized experiments using cell phones in Niger and Mozambique. Prior to joining Tufts, Aker worked extensively in Central, North and West Africa for Catholic Relief Services (CRS) between 1997-2003. She also worked as a post-doctoral fellow at the Center for Global Development in 2008/2009. Aker holds a PhD and Masters of Science in Agricultural Economics from the University of California-Berkeley, and a Masters of Arts in Law and Diplomacy (MALD) from the Fletcher School of Law and Diplomacy at Tufts University. 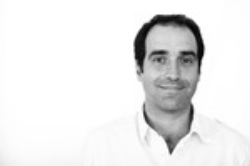 Ignacio Mas is an independent consultant on technology-enabled models for financial inclusion. He has been senior advisor in the Financial Services for the Poor program at the Bill & Melinda Gates Foundation and at the Technology Program at CGAP. Previously he was director of Global Business Strategy at Vodafone Group, and a senior manager responsible for telecoms investments in Europe at Intel Capital. Ignacio has been a visiting professor of International Business at the Graduate School of Business at the University of Chicago. Jeff Ashe, ex-Director of Community Finance, Oxfam America. Jeff Ashe designed and leads Saving for Change which has grown to 550,000 Savings Group members in Mali, Senegal, Cambodia, El Salvador and Guatemala. SfC incorporates research he carried out in Nepal, India and Zimbabwe. Jeff previously founded and led Working Capital which was for a time the largest microfinance institution in the USA and has consulted to microfinance projects in 30 countries. While at Acción International he directed the PISCES studies, the first worldwide study of microcredit, and through the findings of that study introduced group lending to Acción in 1981. In the 60’s Jeff initiated the Campesino Leadership Program in partnership with Liberation Theology Priests and Nuns and Peace Corps in Ecuador. He also teaches microfinance at Columbia and Brandeis universities. Bill Maddocks is the Coordinator of the Sustainable Microenterprise and Development Program (SMDP) at the University of New Hampshire’s Carsey Institute. He holds an MS in Community Economic Development from New Hampshire College and a BA from Southeastern Massachusetts University. Bill is the former director of the Microenterprise and Development Institute (MDI) at the School of CED, Southern New Hampshire University (SNHU). The SMDP and (previously MDI) offer training workshops in New Hampshire and several African countries in microfinance, enterprise development and the wider development fields. Bill has taught Organizational Management and Microenterprise Development at SNHU and was the Executive Director and co-founder of the Community Economic Development Center of Southeastern Massachusetts and Affiliate Coordinator for the Working Capital microlending program. Bill has been active in peace, civil rights, environmental justice, anti-war and labor movement struggles for more than 30 years. Alyssa Jethani is a Programme Associate at Aga Khan Foundation (AKF). She supports AKF’s access to finance and market development initiatives in Central Asia and Africa. She supports AKF’s access to finance and market development initiatives in Central Asia and Africa. She has supported economic livelihoods programmes in Cairo and access to finance assessments in Kyrgyzstan and Tajikistan. Alyssa is currently completing a work experience component for her MBA at the Yale School of Management, where she will return Fall 2012. Malcom Harper was educated at Oxford, Harvard and Nairobi. He first worked in marketing in England, and then taught at the University of Nairobi. He was Professor of Enterprise Development at Cranfield School of Management, and since 1995 he has worked independently, mainly in India. He has published extensively on enterprise development, micro-finance and livelihoods. He was Chairman of Basix Finance in India for ten years, and is Chairman of M-CRIL, the international microfinance and social rating company. He is chair, trustee and board member of a number of institutions in the United Kingdom, the Netherlands and India, and has worked on poverty issues in Bangladesh and Pakistan, and in North, East, Southern and West Africa, Latin America and the Caribbean, the Middle East and Gulf area, South and South East Asia and China, and in the United Kingdom. Julie Zollmann is an associate at Bankable Frontier Associates supporting the firm’s research practice. At BFA, she has conducted in depth field research on financial capability in the context of mobile banking in Kenya and coordinates much of the firm’s quantitative research on savings products for the Gateway Financial Innovations for Savings project. Julie completed her masters in development economics at Tufts University’s Fletcher School of Law and Diplomacy. Pieter van der Meer works for World Vision Canada where he has spent the last 4 years as a Program Manager for the Asia Region before recently shifting his responsibility to the Middle East and Eastern Europe. He has been supporting the introduction of Savings Groups in World Vision Programs throughout Asia and is currently involved in introducing them in the Middle East, Eastern Europe and West Africa. Jean Claude Rodríguez-Ferrera Massons is a social entrepreneur and father of two children, Martin and Lucia. He was born in Barcelona (Spain). Founder and director of ACAF, organisation that developes the “Self Funded Communities Model” in Europe. He was the first Ashoka fellow in Spain in 2006. In 2007, he was awarded as World’s Creative Young Entrepreneur Award, CYEA, and in 2009 ACAF was selected as the European Best Microfinance Practice. The “Self Funded Communities” are groups of 10 to 30 low income people that buy shares to create a credit fund to finance themselves. There is no external money. Only members can invest in the group. As owners, they decide the credit conditions –interest rate, terms, collaterals- and they receive all the benefits of the credit activity. It is completely self managed and self funded. Jean Claude studied World Economy and has a PhD in Microfinance. He worked 4 years in indigenous communities in Guatemala, where he founded and directed “Mayan Treasures” (Best Latinamerican Indigenous Project Award in 2001). He teaches in different MBAs, and has been a speaker in more tan 30 countries around the world. He is the author of “World Economy and Development” (1997) and co-author of “La Otra Microfinanza” (2011). Girija Srinivasan consults in the areas of rural finance, and livelihoods. A large part of her work has been in areas related to self-help groups and federations of self help groups. Her special interests are in community owned institutions and she has been providing technical assistance to several organisations in India, Viet Nam, Laos and Bangladesh that work with savings led groups. She has taken up consulting after serving NABARD for 14 years and currently advises IFAD, GIZ, CARE, SIDBI, Frankfurt School of Finance, etc. She has been involved in project design, appraisal and evaluation apart from providing implementation support to many donor funded projects in India and abroad. She is on the boards of microfinance and technical support institutions. She has authored books, papers and articles in rural finance and community based microfinance. David Panetta is Plan Canada’s Technical Advisor for microfinance and youth economic empowerment. He has supported community-managed microfinance programmes in over 25 countries in Africa, Asia and Latin America, providing support in programme design, proposal development, training, monitoring, research and programme evaluation. Bailey Butzberger is a Program/Training Officer for the Financial Education team at Microfinance Opportunities (MFO). MFO has been promoting the design and delivery of financial literacy in developing countries since 2002. Through their path-breaking curricula, trainings, technical assistance, and innovative use of mass media and grassroots techniques, MFO has helped millions of consumers develop the necessary skills to make informed financial decisions and build their knowledge of key financial concepts, including budgeting, saving, borrowing and investing. At MFO, Bailey helps to develop financial education curricula, contributes to the design and implementation of the organization’s “Training of Trainers” workshops and provides input on how to best adapt financial education messages for different media. Sarah Ward is a post-conflict and market development specialist with more than 14 years technical experience adapting market development approaches to some of the world’s most challenging contexts. She has been working with savings groups all over West Africa and beyond for her entire career. She has experience with capacity building for government ministries, local partners, and INGOs. Currently the Technical Advisor for Enterprise Development at the International Rescue Committee, she was most recently the Director of Market Development for Mercy Corps’. She has lived in Guinea, Sierra Leone, Liberia, and Benin and worked in counties across Africa, Asia and the Middle East. She is an active member of SEEP, contributing author and trainer for the Minimum Economic Recovery Standards (a SPEHRE companion) and the EMMA tool (Emergency Market Mapping and Analysis). She was the primary contributor to the USAID sponsored MicroLINKS wiki site The Value Chain Approach in Conflict Affected Contexts. Published papers include Three Steps to Reducing the Economic and Social Vulnerability of Camp-based Refugees, (Microenterprise Solutions for the World’s Poorest, Kumarian Press) Promising Practices: Approaches for Reaching the Very Poor – Case Studies, (Poverty Outreach Working Group (POWG), SEEP Network). She is a mother and former entrepreneur/small business owner. 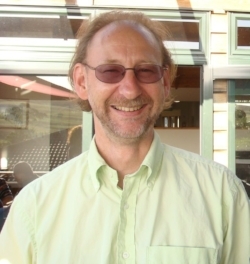 Guy Vanmeenen is Catholic Relief Services’ Senior Technical Advisor for Microfinance in Africa. He provides strategic leadership and technical guidance to staff and partners across Africa who are implementing the agency’s microfinance strategy. Guy is responsible for strengthening the capabilities of CRS and partner staff, reviewing and adapting best practices in rural finance, and working with the regional team to integrate microfinance activities into other CRS programs. He developed CRS’ Savings and Internal Lending Communities (SILC) model and supported its roll-out in more than 27 African countries. More recently, Guy developed a market-based delivery model, called Private Service Providers (PSP), whereby communities pay a fee for SILC training. Fluent in Dutch, French and English, Guy grew up in Keerbergen in Northeast Belgium. He holds a Master’s of Science in Applied Economy from Belgium’s Katholieke Universiteit Leuven. Annie Rose Barber has an MSc in International Development. She worked on an internationalization program in Japan for 2 years and projects promoting the rights of women in Cambodia before completing this study in South Africa for SaveAct. She now works in the core Development Partnerships team for Accenture promoting global Private-Non-Profit Sector partnerships. Chris Dunford is a Senior Research Fellow at Freedom from Hunger where he has been working for more than 25 years. After 20 years as President of Freedom from Hunger, he now continues to speak and write for international audiences on the impacts of microfinance for the chronically hungry poor, on measurement and management toward social objectives, and on integration of microfinance with lifeskills education and health protection. Laura Fleischer Proaño is the Director, Savings Group Methodologies at Freedom from Hunger where she has been working for nearly 7 years. She oversees Freedom from Hunger’s Savings Group programming including the Saving for Change initiative. 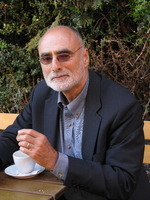 Anton Krone has worked in NGOs in South Africa since the late 1980s. In those turbulent times he was fortunate to work with the anti-apartheid struggles in urban areas. Later he worked in post-apartheid policy and reconstruction. He has worked internationally in local innovation in smallholder agriculture. In 2005 he founded SaveAct as a response to the absence of effective strategies to support rural women in South Africa. They continue to suffer from the effects of the migrant labour system, HIV/AIDS, as well as from gender and income inequalities. Following exciting and somewhat unexpected results in piloting savings groups in South Africa, Anton now directs SaveAct’s plans for expansion. is currently MAPLE Microdevelopment’s Consultant and Field Officer. She received her MA with a concentration in Human Rights and Social Justice and BA in International Studies from The School of International Service, The American University in Washington DC. She has professional project management experiences in international development including Advisory Services/International Finance Corporation, Counterpart International, and Management Systems International in Latin America. Currently she is also an environmental justice advocate, and serves local communities in Oregon. Her interests stem from her passion to support indigenous communities and their struggle for environmental and cultural rights. Sybil Chidiac has over 10 years of experience with CARE and microfinance. Sybil is the Senior Technical Advisor to CARE USA’s Access Africa program. She manages multi country programs all focusing on CARE’s innovative Village Savings and Loan Association (VSLA) methodology as well as contributes to designing key innovations for financial linkages, mobile technology and monitoring and evaluation. Tom Adamsonhas been living in Haiti for over 30 years, mostly working in the private sector. In 2009 he created MicamaSoley as a social division of a company he runs. MicamaSoley has for mission to distribute high-social-impact products to the people at the BoP in Haiti. We started with Barefoot Power Products then added d.light design, water filters and recently improved cook stoves. 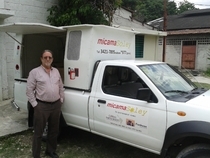 To date MicamaSoley has sold over 80,000 solar lamps, 75% of those sold one-at-a-time to consumers who paid full market prices with no subsidy. Candace Nelson is a freelance consultant based in Boston, who has written numerous - some would say “countless” - articles, training manuals, evaluations and syntheses dealing with financial education, Savings Groups, and development in general. She is co-chair of SEEP’s Savings-Led Working Group, a principal organiser of the Arusha Savings Group Summit, and travels frequently to Africa and Asia. Catherine Wanjala is a Research Assistant in the Kenya Financial Diaries project. She has been particularly involved in analyzing gender issues and understanding the economic role of illicit brewing in her research site. Before joining the project, she trained women’s groups in starting and managing enterprises and building savings groups through her work with Kenya’s Women’s Enterprise Fund. She also worked with Mentoring Africa to connect university students with mentors who provided them with career and social guidance. Catherine holds a Bachelor’s Degree in Anthropology from the University of Nairobi. Chris Glenn is an Intern with World Relief’s Savings For Life program in Kigali, Rwanda. He assists the Technical Advisors who provide guidance to the various Savings for Life programs throughout East Africa. 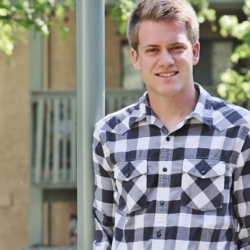 He is a recent graduate of BIOLA University where he studied International Development. 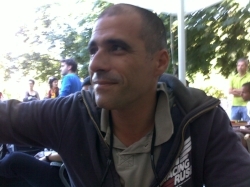 Tito Damião Albernaz was born in Lisbon in 1973. He graduated in Sociology and is currently doing his PHD in Social Sustainability and Development in Uab, focused on social impact generation and social impact assessment. During his rich career, he has been Chief of Staff in the European Parliament (1999-2004); a planning consultant for the Ministry of Justice in reforms within the judicial system; a consultant in the private sector in information technology and urban planning; ,He currently leads ACAF Portugal as Executive Director, teaches social impact assessment and partnership management for the Social Economy Toolbox training program in IPPS- IUL/ISCTE-IUL University, is also a nominator with Ashoka’s fellow program and Consultant in Stone Soup. Nomthandazo Mbonambi studied at the University of KwaZulu-Natal in Pietermaritzburg. She has a Bachelor of Social Science degree in Rural Development and a Postgraduate Diploma in Food Security. She is a Field Officer with SaveAct in KwaZulu-Natal, South Africa, where she uses her skills and experience in facilitating rural development. 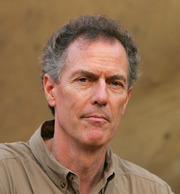 Larry Reed is the director of the Microcredit Summit Campaign. He has more than 25 years of experience in microfinance, predominantly with Opportunity International as their Africa Regional Director for five years and eight years as the first CEO of the Opportunity International Network. Under his leadership, Opportunity developed the first microinsurance brokerage, which now serves hundreds of millions of people around the world. Reed has taught at the Boulder Institute of Microfinance for 15 years, served as the chair of the SEEP Network, and consulted with industry-wide initiatives like the Smart Campaign for Client Protection and MicroFinance Transparency. Reed authored the 2011, 2012, and 2013 editions of the State of the Microcredit Summit Campaign Report and has contributed to several books on finance and the poor. Katie Doyle Myers is the Director of Programs for Philanthropiece, an operating foundation with the mission to empower changemakers worldwide in the co-creation of resilient communities. We believe deeply in the potential of savings group to be a mechanism for increased community cohesion, leadership development, and social enterprise. Katie brings a background in contemplative education and conscious grassroots development to her coordination of Philanthropiece’s “Community Banks” program in Mexico. Nanci Lee is a community finance analyst, adult educator and poet (the order changes) from Halifax, Canada. She has worked with savings groups, producer groups and credit unions for over twenty years in Canada and overseas. Much of her work has focused on the links between member governance and economic models that complement informal asset-building and increased decision-making power particularly for women. Recent writing has focused on transformative online learning, funding and partnership considerations for networks in food systems. She was the Program Coordinator for Village Savings and Loan Associates responsible for coordinating the design of SAVIX with key partners. Nanci is also an active volunteer in her own community related to social enterprise, community investment and wilderness protection. Elke Jahns-Harms holds a PhD in International Relations from The Fletcher School at Tufts University, and is currently a Senior Fellow on Fletcher’s Council of Emerging Market Enterprises. Her research examines the impacts of savings groups on poor rural households in El Salvador. She has worked in Central and South America, East Africa, and Antarctica, on projects related to financial inclusion, sustainable agriculture, climate change, HIV/AIDS, women’s rights, and environmental education. In addition to her Fletcher PhD, she holds a Master of Public Affairs, a Master of Music, and a BA in Geology and Environmental Science. She teaches on the topics of financial inclusion, development aid, and music for social change. Courtney O’Connell is World Relief’s Savings for Life Senior Technical Advisor. She supports the implementation teams in ten countries and is honored to work with the real heroes of the Savings for Life program: the field staff and volunteers. She lived for nearly a decade in Sub-Saharan Africa and witnessed the power that a simple savings group has to change lives. Courtney wholeheartedly believes in the necessity of holistic community development as well as working alongside the local church for long-lasting, sustainable development. When she’s not in front of her computer, Courtney loves to be outside and can be usually be found road biking or hiking up mountains. Patrick Mfossais a PhD candidate in economics working on “mobile money-driven financial inclusion and resilience dynamics to adverse shocks in Sub-Saharan Africa”. He is a member of the international association of French speaking researchers in Microfinance and a fellow at the International & Interdisciplinary Research School with a focus on development policy in Sub-Saharan Africa (jointly organize by the Ruhr University of Bochum, Germany and ISSER at the University of Ghana). Patrick is also a certified AppSheet Solution Architect and the initiator of POKERI-SHEETS | Making spreadsheets work for Savings Groups(http://bit.ly/2PfRZ8h).The project has led to the development of mobile apps such as DigiSave, a digitalized version of an old age financial mechanism better known in French as “Garde-Monnaie” that helps the coordinator of a Togolese NGO (SED-TOGO CFPS-N https://www.linkedin.com/in/sed-togo cfps-n-a32510101/) to instill the spirit of saving among destitute and orphaned children at its training center and to better manage their daily savings.